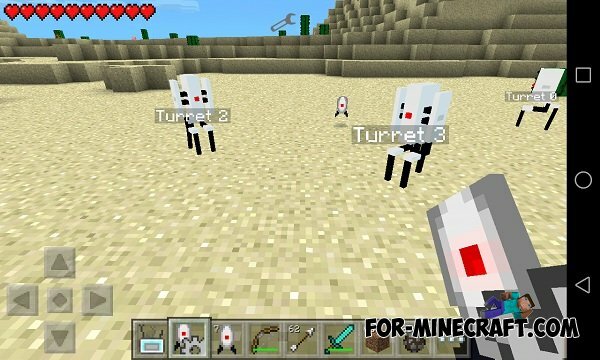 Turrets mod adds to the world of Minecraft Pocket Edition Turrets, they will be your reliable support on which you can rely. 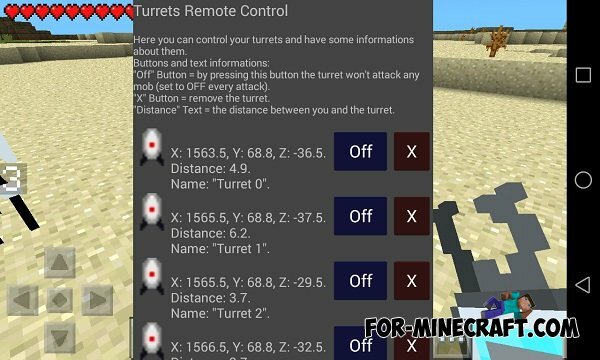 Turrets can protect your home from hostile mobs and other creatures. When to your home will fit some sort of a hostile character, it will destroy the turret. 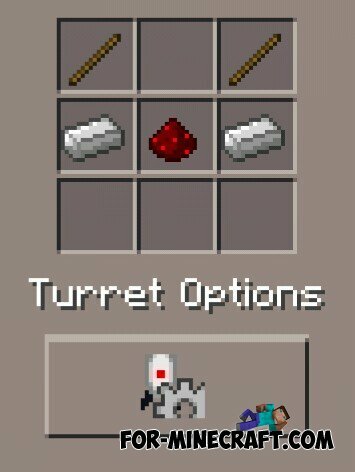 But of course everything depends on how you place turrets and in what quantity. Here, as in all games where you have to defend or fight, needs its own strategy, that it will help you as much as possible to protect yourself and your home from not welcome. 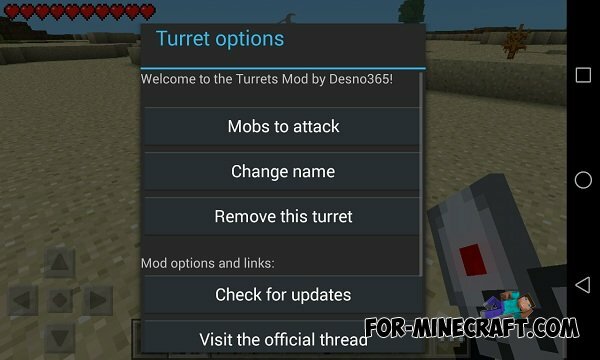 Semi-automatic gun map for MCPE 0.10.5With the Redstone addon on we have new opportunity - to do mechanical home, build a variety of maps and more.